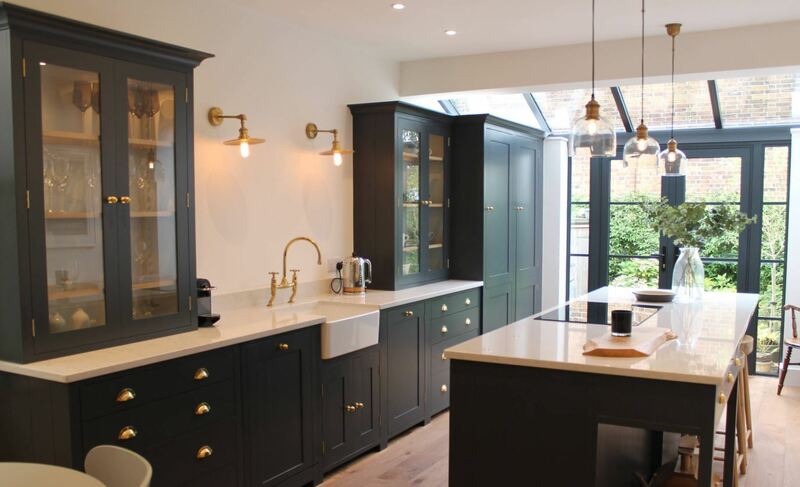 Brass is a beautiful option for when you want to bring in a warm metallic accent into your kitchen. It is impressive yet elegant, and has a presence that stands out but doesn’t overpower the rest of the design elements. 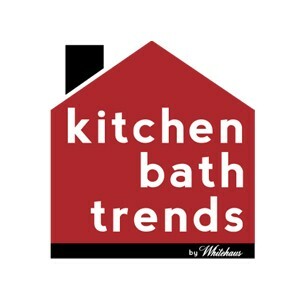 Whitehaus Collection® brings in the trendy brass finish into their kitchen faucets. 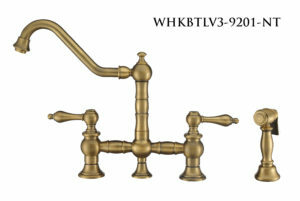 The Vintage III Plus line of kitchen faucets offer the WHKBTCR3-9201-NT and WHKBTLV3-9201-NT models in Antique Brass. These one of a kind faucets offer a traditional feel with their flowing lines and high-end looks. Designed to complement any home, Vintage III Plus kitchen faucets are made of solid brass that ensures durability and strength. They feature a long traditional swivel spout, solid lever or cross handles, durable solid brass side spray, and added bonus of Watersense compliance with 1.5 GPM water flow. Allow the unique elegance of a Vintage III Plus faucet to become the center piece in your home. Available in exquisite finishes to fit your design choice: Polished Chrome, Polished Nickel, Brushed Nickel, Antique Brass, Oil Rubbed Bronze.